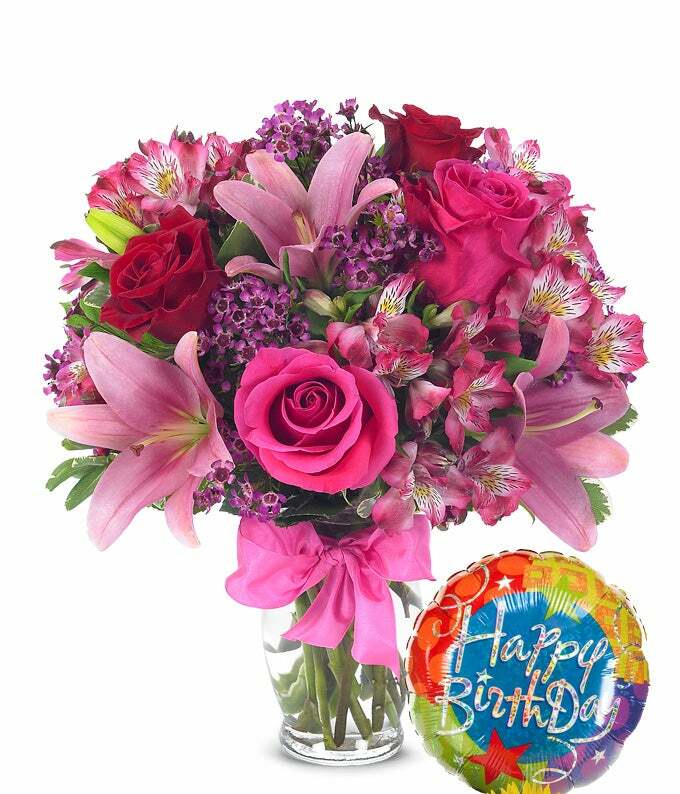 Send your best birthday wishes with this lovely bouquet of Asiatic lilies, waxflower, alstroemeria, roses and a birthday mylar balloon. Delivered in a clear glass fluted vase, this bouquet makes a wonderful gift they'll not soon forget. Measures 14"H by 12"L.